I think everyone who works with social media should take time out of their schedule to offer a presentation to a favorite nonprofit group. As followup to my post last week about the Ice Age Trail Bridge Dedication in Lodi I gave a presentation about using social media for community building. I live in an area that has the Ice Age Trail going through it and I am less than a 1/4 mile from one of the absolutely best sections, Which I often highlight on my website. I provided a donation of volunteer hours to create and present a program on community building with social media at their annual meeting program. To give everyone a first hand example of how effective social media tools can be I attend a Ice Age Trail event on Tuesday April 20. It was the bridge dedication of the the volunteer-built, longest span bridge. I created a video and took pictures at the event. I posted the video on my Youtube Channel and then created a blog post on blogger. I shared the links to both on Twitter, Facebook and LinkedIn. After the event, when the local newspapers posted their online versions I linkedin again in Facebook and Twitter. I used Delicious to bookmark the articles. 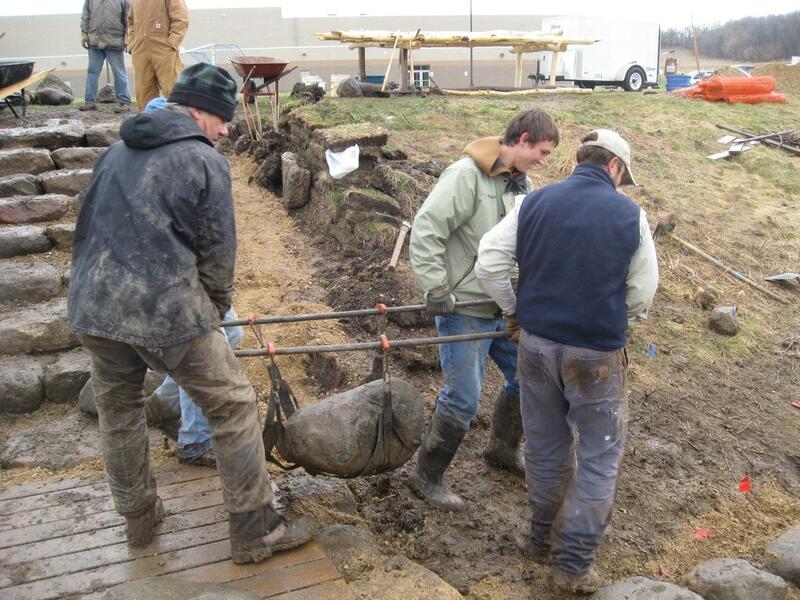 I then created a hastag definition for #iceagetrail to tie back to the website and the organization for Twitter users. 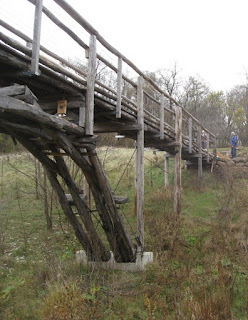 I also dug up several groups on Flickr posting pictures of the Ice Age Trail. View more presentations from Wendy Soucie Consulting LLC. What have you done for your favorite charity lately? While at the Ice Age Trail Alliance Lodi Bridge Dedication I thought I would take some quick interviews, videos, and pictures. As a Lodi Chapter member, my husband, my son and I, along with the entire community of Lodi, Westpoint and the State-wide Mobile Skills Crew have helped make the bridge project and creation of trails in this area a reality. Growing up in New Hampshire, I hiked the Appalachian Trail in the White Mountains with my father most weekends in the summer. I can appreciate the effort Wisconsin is making to complete this 1000 mile trail following the glaciers in Wisconsin. On Friday, April 23, 2010, I will be giving a presentation at the IAT Alliance Annual Meeting on how the members can use social media to further their local chapter goals, IAT Alliance goals and ultimately membership goals. 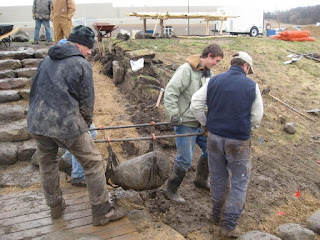 These images, video and even this blog post can help me show exactly how each member of each chapter can bring more awareness of the Ice Age Trail Alliance and become evangelists themselves to attract new member volunteers. 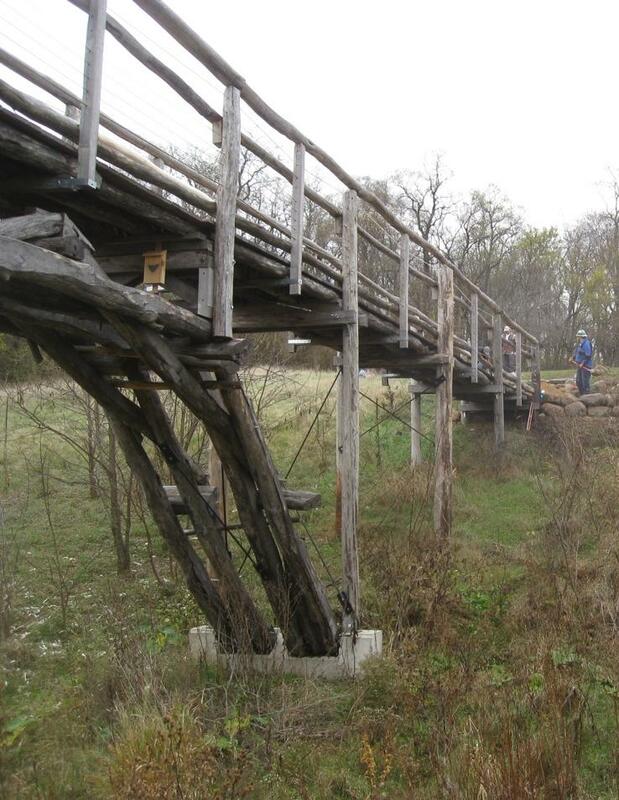 The Lodi Chapter has a unique partnership with the Lodi School District, Forest Products Laboratories, National Park Service and the Alliance office in the 5 year long volunteer effort that built this unique bridge. I have included the video I put together as well as pictures from William Beers, the Chapter Coordinator for 2009. Social CRM: Not Your Father's CRM - Forbes.com: "Don't get confused by the complexities of Social CRM, instead use the following formula: First, monitor where your customers are on social networks, this will help you to define which social networks you'll need to connect with. Secondly, ascertain that your CRM system provider is building the proper connectors to enable these systems to connect this will help with next step of mapping social data with existing CRM records." Wendy's Note: I think Jeremiah Owyang has provide the right push on this discussion as well as providing a resource in the report "Social CRM 18 Use Cases." The discussion on Social CRM has been flowing wildly at Customer Think (Bob Thompson), Beacon Group Consulting (Denis Pombriant) and Paul Greenberg (56 Group). Owyang and co-author Ray "R" Wang have provided a free substantive report on Social CRM. This is a virally shared research report to help any business to business (B2B) organization begin to determine what they need their CRM to do with Social. Although many existing CRM software is beginning integration of Social (i.e. SalesForce.com and its "Chatter"), few if any exist that start on the social side and provide a fast, efficient and social interface. Here is the blueprint discussion for how this product will move forward. I plan to blog about my process, trials and tribulations at my business blog www.wendysoucie.com. "Smart phones are pocket PCs. The conventional cell phone evolved into a powerful pocketsize personal computer with a wireless Internet connection over the last decade. Today's smart phones run complete computer operating systems and thousands of applications programs from email and productivity to social networking and gaming. You and your cell phone are subject to greater privacy and security risks than with a home or office PC. Identity theft, viruses and other malware attacks are hazards of using smart phones." Wendy Note: Joe Campana is the National Examiner for examiner.com for privacy and identity theft. And he is from Madison, WI. As a highly respected privacy and identity professional and book author, what he says makes an impact on me. He makes a extremely good case on how we use our wonderful "phones/computer/handbag/roledex/blogtool/social connector", without much protection. I can't wait for Part 2. How do you use your smart phone? Have you even thought about the implications that Joe mentions? Condiments in a Web 2.0 world. Please pass the mustard! 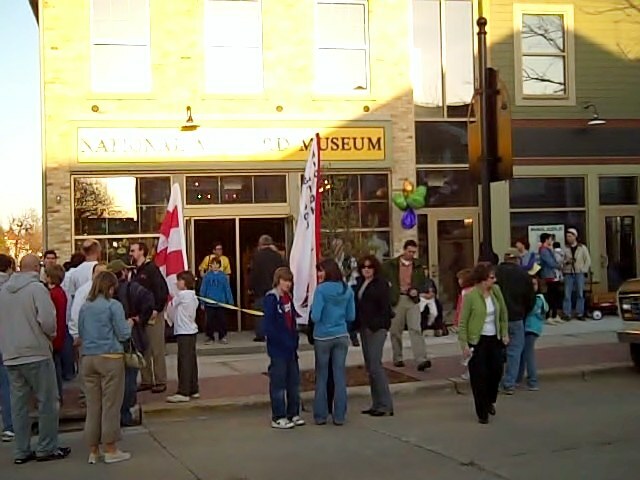 In true extravaganza style, The National Mustard Museum had their Grand Opening on Friday April 9 through April 11, starting with "The longest Mustard Pass in History." Covering approximately 17 miles along country roads from Iowa Dane county's Mt Horeb to Middleton. This caught my attention. A quick search found no history of any condiment pass longer than 20 feet while this pass should be roughly 17 miles - supported by the cross country and track teams of Mt. Horeb and Middleton high schools. The National Mustard Museum partners with bratwurst. Levenson has taken his passion to great lengths when he created a museum with his vast collection of English and American mustards. He ultimately quit his "real" job to take on the curator role full time with Mrs. Mustard, Patti Levenson. The only reference I could find to a historic pass was the longest football pass in the NFL. That was a 99-yard pass play which has only occurred 10 times in NFL history. German lore advises a bride to sew mustard seeds into the hem of her wedding dress to assure her dominance of the household. 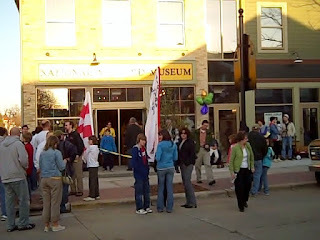 The museum has been very successful up to now in their location in Mt Horeb, but the move to Middleton should be a different but successful environment to grow its business.The building was the original "Friendly Building" and the contractor was able to reuse the original bricks to match the old Opera Building across the street. How could this business really leverage social media - let me count the ways. Working in the business to business space for over 25 years doesn't give one many opportunities to have fun like Barry Levenson does with mustard. The closest I came was during my 7 years as a sales engineer calling on Harley Davidson. Talk about an enthusiastic engineering and manufacturing force almost giddy with enthusiasm and pride for their product. This type of evangelism is hard to come by and in the social media space of today is the real social capital that success with this channel will be measured by. The events planned for the weekend at the National Mustard Museum really play to the fun and quirky nature of curator Barry Levenson and mustard in all its forms. While they have made good use of traditional marketing efforts for print, TV and radio along with their website and e-commerce store, social media presents a great way to help them tell their story, sponsor contests, showcase video and pictures all while having fun. The National Mustard Museum has a lot of content to leverage into the social media spaces and with an e-commerce site as well as a retail store they need to drive all sorts of traffic. Lets assume that the National Mustard Museum has invested the necessary time and resources to assess the market and their target audience for products they want, issues that could be solved and opportunities that the National Mustard Museum is uniquely qualified to solve. Here is a look at 5 social media tactics they could consider using to drive the results they are looking for and build a evangelist community. 2. Blog - The Museum should have its own blog identifying new products, new recipes, crazy ideas, contests, etc. Mr. and Mrs. Mustard (Barry and Patti Levenson) are creative genius who could have a lot of fun (as if they need any more excuses) with a blog. Creating valued content for sharing gives back to the audience and community that buys their products. 3. Pictures - there are 407 images referring to "mustard museum" on Flickr.com but none are front and center referring back to the National Mustard Museum website. The National Mustard Museum should start their own Flickr profile and share with images with a creative commons license and requested linkback to their site. This would allow them to share easily information about the site. For example, On google their are 353000 images with the title "mustard museum" and non of the first several pages tie back to "Ol' Poupon University." 4. Video - although there are many videos on Youtube under "mustard museum", none are controlled by the mustard museum through a custom video channel. Various people have posted, media sources, vendors, but the Video channel for the museum is missing. 5. Facebook - Let's face it, if your consumers are on Facebook and you need to go where they are. Create a strong strategy here, share your blog, bring in your Youtube channel, collect your feed from Flickr, identify your special events, upcoming promotions, ask questions and engage the audience. consider taking the leap to incorporate your e-commerce site directly into Facebook as well as your website (check out Best Buy's Fan page as an example). Include the feature that lets your fans evaluate and rate different mustard. By the way, my favorite mustards are variations of honey mustard. Although the Tomato vodka Mustard got my attention at the store this week. According to Barry Levenson, the Mayor of Middleton made it illegal to eat ketchup within 300 feet of the Mustard Museum! 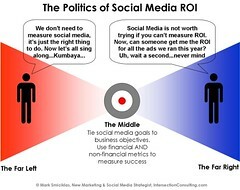 A new perspective on social media time investment. Maybe 20 minutes a day is the number you have been looking for. I often spend much more time - but it is my target investment each day in my clients and potential clients. What time do you invest in your clients? View more presentations from XeeSM.